The Outreach Committee serves an important role. It organizes the making and donation of a variety of items: including, but not limited to quilts, books, totes, Little Dresses/Britches for Africa, and Quilts of Valor. 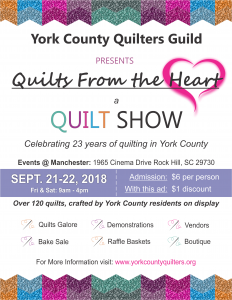 If you like to share your love of quilting with a needy member of our community, please contact our Outreach Committee Chair to see how you can help. 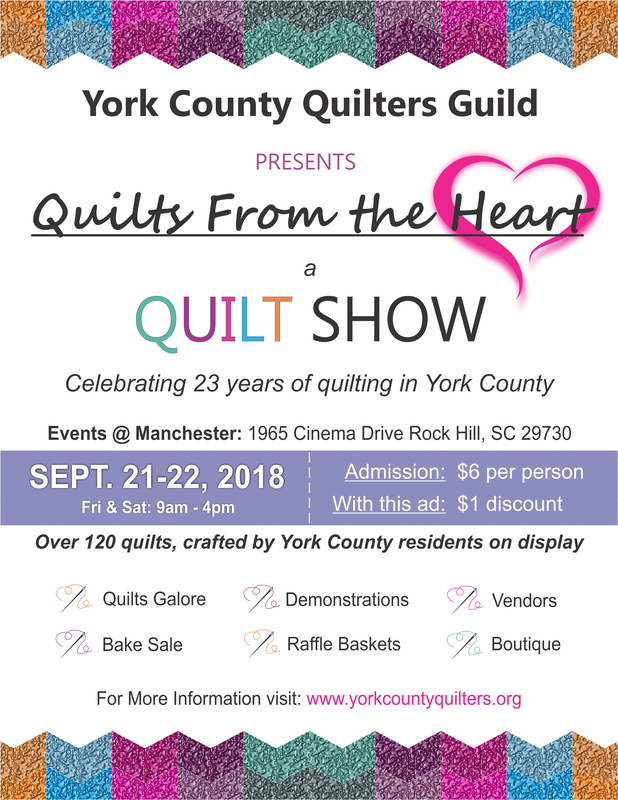 The York County Quilters Guild has taken on a project of making dresses and britches for orphaned children in Africa. Members have joined together and worked as a unit to make dresses and individual members also work on their own time at home or with their small charm groups. Construction workshops are continually offered for this on-going project. We offer relief to both girls and boys, but with our ministry, girls come first. Because of the difficult road that lies ahead, we want to give something to little girls to plant in their hearts that they are worthy. We’re not just sending dresses, we’re sending HOPE! Simple dresses are made out of pillow cases, and distributed through the orphanages, churches and schools in Africa to plant in the hearts of little girls that they are worthy! When we finish and have enough to send, we mail them to Rachel O’Neill, who founded the organization in 2007. So far they have sent over 2 million dresses to Africa. If anyone is going to Africa and can take extra baggage they can contact Rachel O’Neill and she will tell you what to do. If you don’t sew and would like to help, she also needs donations to help send the packages to Africa to her contacts. Go to her website and get all the information you need. She tells how to make the dresses, how to size them, and there’s a pattern for the arm holes. For information on how you can get involved in this project, please see Gail Moss at the General Monthly Meeting or you can contact her through our contact page.